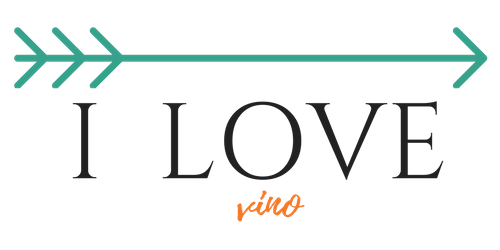 First – does the name of the winemaker sounds familiar? Yes, Mark is the great, great grandson of an iconic Beringer Winery co-founder, Jacob Beringer. He is proud to continue the long family tradition as he was raised working with vines from the early age. 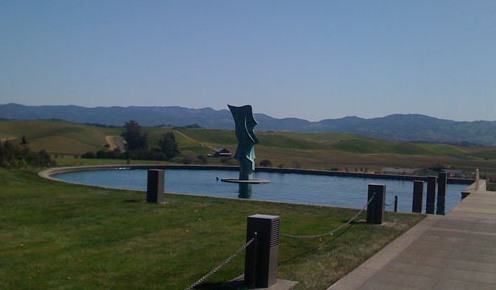 Second – I didn’t have the pleasure to visit Artesa Winery and its visitors center yet. But I have seen pictures and heard that this place was probably one of the most beautiful in Napa. It was designed by renowned Barcelona architect Domingo Triay and built in the early 1990’s. Its owners, Roventos family of Spain, were expressing their heritage as well as their passion for art and nature. Their family’s winemaking history goes back to the mid-sixteenth century! Gordon Huether, an artist with his studio in Napa, has previously created some beautiful pieces of sculptures and large scale glass-installations for Artesa. Eventually he became an artist in residence. His expositions and a very personal artistic work are influencing significantly the overall impression of winery. The name ARTESA was inspired by the Catalan word for “handcrafted.” And that’s how this winery was build – in perfect harmony with nature, with a breathtaking view of San Francisco skyline. And third – this wine is not only blend of grapes (a traditional Bordeaux varieties) but also blend of regions – Marc decided here to pick the best fruits from Napa and Sonoma, and blend them together to add an extra complexity thanks to both region’s characteristics. I have always tasted Artesa wines young – just released, so I was excited to try this bottle that have been aged for an additional few years. Does it hold its fruit? 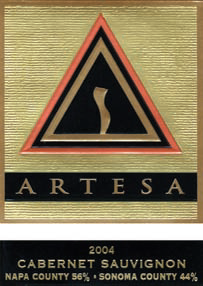 Artesa reds are being produced in more modern style – bigger, impressive and could be drank young. Sometimes, that’s not a recipe for long time in the cellar. The grapes for this Cabernet Sauvignon came from the following Artesa’s vineyards: Foss Valley (Atlas Peak, Napa), Oak Knoll District (Napa), Ridgeline Vineyard (Alexander Valley, Sonoma) and Knights Valley (Sonoma). After harvesting the perfectly ripe grapes, the berries were kept whole, just de-stemmed. Yet, the grapes from different lots received a different treatment. After fermentation, most of the lots were pressed directly to the barrel, where they finished a malolactic fermentation. Selected fruit from certain lots received an additional maceration to extract more color and density of flavors. Final blend then aged for 21 months in 40% new, 60% used oak barrels (85% French Oak, 15% American Oak). Familiar and very nice aroma of dark fruit, with addition of spices from the oak. On the palate the wine was much softer than I remember when tasted back in 2007. Fruit was nice a bright – hints of blackberry, dark plum mixed with a delicate spices such as glove, cinnamon or nutmeg.Intense wine,with perfectly velvety tannins was a great compliment to a piece of steak I was having with it.Some wines, opened too early, have this sharpness about them (harsh tannins) that some admire, I not so much. It could be overpowering. Not just food, but sometimes the fruit it selves. Artesa was nothing like that. I loved it, it held up to the expectations. Also, since it’s not just Napa fruit, the price tag is slightly more friendlier. Therefore, I would call Artesa Napa/Sonoma Cabernet Sauvignon a great value!